There's software available for virtually any age and type of person including babies. While you may wonder how an infant is going to benefit from computer time, there are some perks. According to Michael Rich, M.D., M.P.H. in Parents magazine, the trick is to find the right balance between the benefits and the detrimental effects that screen time can have on children. That means finding the right software. Fortunately, there are plenty of options for babies 18 months and younger. This program is available online at Giggles.net and is a great starting one for little hands and fingers. It is designed for little ones from 6 months old and up. Babies don't have to be coordinated or experienced to be able to enjoy the activities this software has to offer. No matter what computer key your baby presses, something will happen that is fun and educational. The following activities are some you can expect. Giggles has won several awards, as touted in their press release, including the Children's Technology Review Editor's Choice Award, Media of the Year Award from Creative Child magazine, the iParenting Media Product of Excellence Award and the Dr. Toy Smart Toy Award. With that to back up the product, you know this is one that will be entertaining and will teach your baby valuable skills in a fun way. While some people wonder if babies can actually learn to read, others feel like you can't get started too early. Whatever your stance, this Brill Kids Little Reader is a great way to introduce letters and words to your baby. The software has many promises that will help you decide whether to try it or not. This program is geared towards babies and small children, so you know it will be entertaining and engaging for little ones. The company offers a 100% percent satisfaction guarantee, and the curriculum comes in several languages, including English, Spanish, French, Russian, Thai and Chinese. Brill also has math and music software for babies. The game boosts many skills, including language, color, shape, letter and number recognition, matching, body parts, emotions and much more. The game carries an Award of Excellence from Discovery Education. On top of that, the game is one of the best in terms of entertainment. You can purchase this software from Amazon and Super Kids calls it a "positive first experience" when it comes to computer time. The program is perfect for babies from age 9 months and engages them in a variety of activities that teach them things while also keeping them entertained. Here is a short list of some of what the game has to offer. 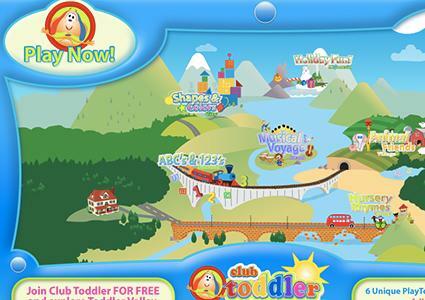 This program is a great starter software for your little one. It's fun for her, but it also keeps you entertained. This game can grow with your baby as she becomes more proficient on the computer. This game is specifically designed for parents and babies to play together. That gives you the chance to help your little one learn from the software. Using characters that are familiar to your little one helps make learning that much more fun. Here's what you can expect from the game, according to Super Kids. Sesame Street is, of course, an award winning television program that has graced living rooms for decades upon decades. That makes this game a great option for carrying the popularity and benefits of the program into your home. Created with very young children in mind, this game features a favorite character combined with the educational benefits the television show offers. The game is created by Atari, but must be bought through Amazon.com. Not only does your baby get to see the animation and bright colors that drive her entertainment and development, but there are many fun perks to this game. This game also features Spanish words much like the television show with the same name. It's sure to become your baby's favorite. Blue's Clues was a big time show in the past decade. It might not be as popular as it once was, but your baby is sure to love this game anyway. Your baby can explore Puppyville as he looks for the puppy. There are a variety of activities that teach a vareity of skills. Listening, reading and writing are skills your baby can learn as he gets older by using the game. Developed by Nora Development, the game is sold on Amazon.com rather than the company website. Currently, the American Academy of Pediatrics recommends that children younger than two don't get any screen time. However, even top doctors, including Rich knows that this isn't entirely realistic considering the amount of media children are exposed to on a daily basis. While you never want screen time to take over your baby's day, you can make it work with the following tips, courtesy of the experts at Parents magazine. Choose educational programs as often as possible. Balance screen time with plenty of opportunities for other types of play. Limit screen time to short periods each day. Keep an eye on what your baby is doing - that means not handing him your smartphone and doing something else in the next room. By carefully keeping track of your baby's computer time, he can benefit from learning new concepts and getting a leg up on what he'll need to know once he starts school. Make it a small part of how he learns and let him play and learn with toys and interactions with you too. That way you all benefit.